I do not find sports all that engaging. The allurement of competitive and extreme sports may as well knock on a bolted door when it asks me to get involved. I often marvel at the allurement of competitive sports. I sometimes shake my head and ask, “What is the point of bouncing, kicking, hitting, and throwing a ball?” Probably that is the wrong question. Rather, I should ask, “Why don’t I get involved with the bouncing, kicking, hitting and throwing a ball?” I wonder what I have lost as a person by opting out of competitive games and sports. Perhaps the loss is greater than I realize. My lack of involvement in sports and games began as a youngster. I recall the happy voices on warm summer nights when most of my cousins were outside playing games such as King’s Base, Three Times around the House, or Kick the Can. In the background, I heard their shouts of laughter as I curled up on a chair reading a book. More than once they would beg a reluctant me from the chair to join in their fun. Now I am a teacher and being on recess duty is a part of my job description. This is not tallied as a favorite part of my teaching job. I have teasingly told my students that I could do without recess, and they look at me like I am from another planet. Who wouldn’t want recess they wonder? Recess is all about games and sports and fun. In my thirty years of teaching school, I have done a variety of things during recess. I have bandaged many knees and elbows, comforted crying children, refereed for the escalating arguments, kept teams’ scores, and blown the whistle. In my early teaching career I sometimes even played with them. These things are not the reason I dislike recess. Perhaps one reason for disliking recess is fear-based. I find in the deep recesses of my heart a silent resistance to public involvement that has risks. It is risky to mess up for your team; they might get mad. It is risky to run; you might fall. It is risky to play toward a goal; you might lose. It is risky to catch a ball; you might drop it. Happy laughter rides on the wings of their feet. Pure, exultant joy exudes from these little bodies darting back and forth from line to line. Voices mingle with uninhibited yelling and shouting. Hands link and assist each other for safe crossings. Infectious smiles create a sunny place on a rainy day. The tagger is empowered to control his domain. The one being chased falls in a breathless, laughing heap as he scoots across the safety line. Accidents happen– some gulp away tears, and others keep running. Looks of disappointments cross faces when the jarring bell signals the end of recess. Perhaps taken out of context,but so much in context of children at play is the line from Isaiah 55:12 “ For ye shall go out with joy. I believe when my students go out for recess their loud laughter, happy shouts, and energetic running pleasures the heart of God. When we play, perhaps all nature rejoices. As a single woman, I have seen nearly four decades of a red-letter day in February. Valentine’s Day twists a mixture of varied experiences for a single woman. This day has produced awkward moments and blessed moments, painful moments and sweet moments. I have been celebrated. Flowers have appeared at my door. Love notes and cards have been slipped onto my desk. On several occasions I have been graciously invited to attend a couples’ banquet. Imagine! And then, there have been some very silent Valentine Days. February 14 is one day out of the year that invites romantic overtures. Women imagine the special candlelight dinner for two, the soft background music, and the whispered endearments. We hunger for love. We were made to love, and we were created for love. We quickly can assume love is mysteriously ignited into full flame on this special day. We elevate February 14 into romantic experiences and expressions only. We forget that the journey of two is a commitment to lay down one’s life selflessly for the other. I applaud couples who take this day to celebrate that kind of a commitment to each other. In the flashy glitz and hoopla of commercialized Valentine’s Day, we single women tend to forget it only holds illusions. Sometimes as single women, we need the reminder that love is not found in dinners, music and endearments although these are beautiful love expressions. Love is a Person. Love hopes. Love trusts. Love endures. Love covers a multitude of sins. Love is the greatest. No February 14 can encompass the mystery of love as does a love which is tested in the warp and woof of life. I think of my Aunt Kate who knows something about committed love. She and her husband were quite modest in their display of affection, but rarely was one seen without the other. A few months ago, she buried her husband of nearly sixty-five years. As my ninety-two year old Aunt leaned over the casket one last time, the sob of grief was heart-wrenching. Here was a woman who worked hard alongside her farmer husband many days. She birthed seven of his children. She raised her family with limited modern conveniences. She became who he was, and he became who she was. Death ripped apart their oneness, but it could not tear their love. Many of us single ladies secretly wish for such a love to knock at our door on this red-letter day. In the swirling mass of lacy pink and red hearts, we single women stand on the sidelines, daisies in hand. In the figment of our imagination we hope to produce the miracle of love by whispering, “He loves me, He loves me not. He loves me. . .” Suddenly the roses and chocolate comes for one. She squeals with delight. Eyes shining and glory dancing, she ecstatically tells her friend, “ It’s happened! He is asked! I never dreamed it could be so sweet.” She drops her daisy and walks off without a backward glance. The rest of her comrades hold their wilted daisies and wonder how they got missed. Daisies and chocolate hold illusions, but the Rose of Sharon is a reality. The Rose of Sharon never misses one of His single daughters standing on the sidelines. Watch Him as He leans closely to them and whispers something. You wonder what it is he is whispering. I have an inkling just what it might be. Check out Zephaniah 3:17. P.S. 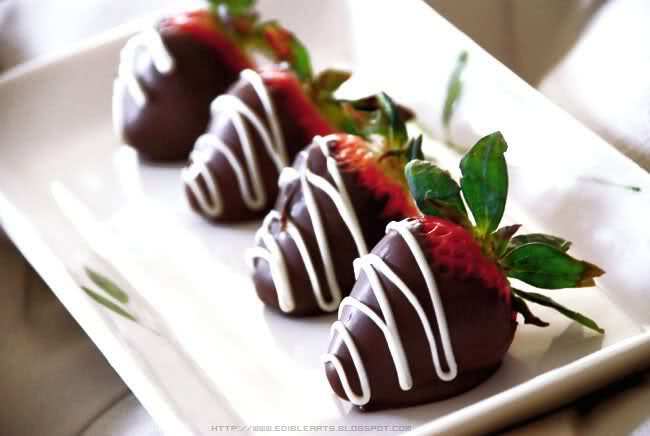 Oh, in case you forgot, the Rose of Sharon is also the Creator of chocolate covered strawberries. Buy some. Share some. Eat some. Savor each bite with gratefulness for His goodness toward you on this special red-letter day. Sometimes when I awaken during the night, a few words clearly break into my sleepy consciousness. A few nights ago it happened again. The words glided gently into my ears while the early morning hours waited patiently to greet the dawn. The line whispered, “One and only one, and yet not alone.” In my half drowsy state, I mused upon the truth of that statement. Singleness does not necessarily equal aloneness. Just recently I read a friend’s article on single hood. 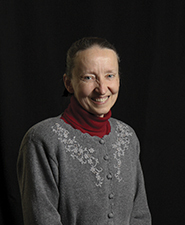 According to her research, she indicated that the ratio of Anabaptist single women to Anabaptist single men was grossly imbalanced. She found the amount of single women far outweigh the amount of single men. Such statistics could yield a rather bleak future for these women. In the same article, she wrote, “One ‘positive’ factor for the single Mennonite woman is that she has a lot of single female company as her friends.” I assume she meant that one can find plenty of social life with her peers due to the availability of single women. I do agree that I do not lack in the abundance of women friendships, but they include both single and married ladies. As I pondered my friend’s article, I thought of a recent social event. Within just a few hours notice, five of my single friends and I planned a pizza dinner in town. (That is one benefit of being single. We often can more quickly adjust our personal schedule than a household with a number of people.) The dinner time was low-keyed. Maybe we were tired. Maybe after working all day, we just needed to time to unwind. Our quiet celebration of friendship, womanhood, and life offered a cozy togetherness that touched a comforting spot. Nothing changed in my single status that evening. I came home as one and only one, yet I knew I was not alone in this world. The realization of this truth is not limited only to social events. A few weeks ago the winter flu of fever and cough attacked me. I was on my couch the greater part of the week. My family and friends checked in with me daily via texting or phone calls. My neighbor, Cathy, sent her daughter over with chicken noodle soup and homemade bread. Another evening my young high school friend, Sierra, brought in a meal for me. My friend, Anna, picked up some necessities in town when I was too sick to go out. My friend Irene picked up supplements and stopped in to visit me. I was one and only one in the house that week, yet I did not feel alone, for I was surrounded by caring friends. Sometimes as single women, it is easy to focus on our single status and what we don’t have. True, as singles, we are one and only one. Yet I have never been more convinced of this wonderful truth, “We are not alone.” I think of Jesus’ disciples who must have felt a high level of anxiety when Jesus told them He was leaving them. He promised them that the Father would give them another Comforter that would abide with them forever. (John 14:16) We, as single women, are promised the very same Comforter. He walks daily with us in every breath we take, in every job we do, and in every thought we think. No friend can be as constant as is Immanuel – God with us. That is why we are never alone, even though we are one and only one! The Sunday after Thanksgiving I attended Berea Christian Fellowship, my former church, before moving to Pennsylvania. This church has taken its fair share of twists and turns through the years. I remember its early conception. I was not yet in school when my parents began meeting in small groups with visionary young-married couples during the era of revival meetings. Stirred by such messages, these young couples made up in zeal for what they lacked in wisdom. Dissatisfied with the local Beachy church, the young couples left and established Berea Christian Fellowship. At some point they began meeting in an old abandoned school house. About this time, my parents joined the group because many of them were family and close friends. I was just a young schoolgirl when a church building was erected for the Berea church. The building process connected the group in purpose and vision. They supposed the vision and zeal would carry them through the next number of years. Unknown to these early members, dark days were looming in the distant horizon. Vision and zeal alone could not counter the black clouds. Established less than twenty years, Berea Christian Fellowship nearly collapsed. The pastor and two co-pastors left. A number of parishioners left. The time came when only a few families remained. In desperation the people that were left at Berea, went to the former Beachy church and begged for help. They graciously complied. Slowly, very slowly things turned around. Change takes time– a very long time. It is still not a perfect church, and will not be because churches are made up of imperfect people. One thing that always strikes me about the Berea church is its friendly engagement with people. The church family is greeted warmly, and loved. Visitors are pleasantly acknowledged. Those who have a testimony may share, or those with a prayer request will be prayed for on the spot. Every Sunday birthdays are celebrated by singing for the birthday person as they walk to the front to drop a money gift into the birthday jar. Every month anniversaries are acknowledged by calling the couples to the front and praying a blessing over their marriage. The young people have opportunities to participate, and they are prayed for individually as they prepare to embark on some mission trip or endeavor. Children participate on a regular basis by sharing memory verses they have learned in Sunday school. What about the older singles? They, too, have a place. Since I happened to be there the Sunday after Thanksgiving, I became a recipient of a tremendous blessing. They called seven older single ladies / moms to the front. As a visitor on this morning, I too, was included. Deacon Lavern gave words of gratefulness for our contribution to the work of the church, and then he prayed a blessing over our lives as single woman. My eyes blurred. I was deeply touched by this encouraging moment. 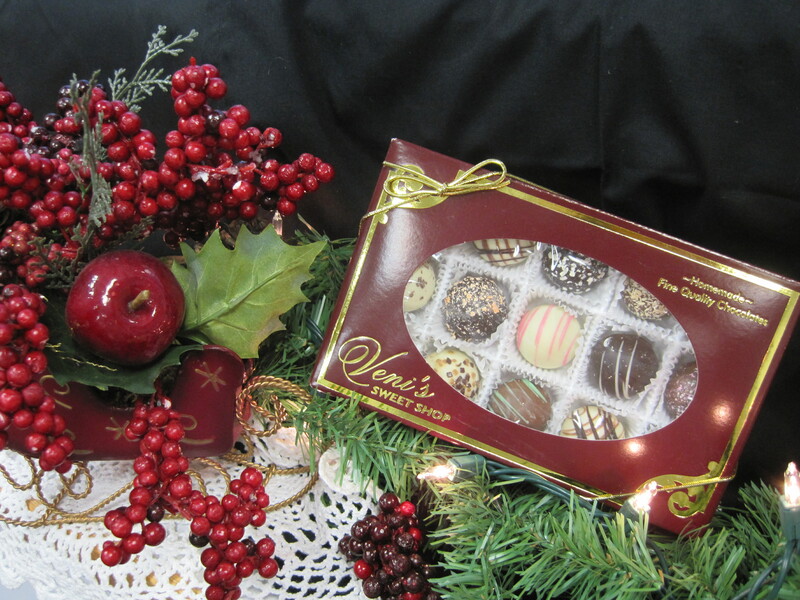 After the prayer, the deacon’s wife pulled out a box of Veni’s Sweet Shop chocolates for each single lady. As we walked back to our seats, the congregation applauded. Perhaps one of the greatest gifts we can give each other in the church is the blessing of encouragement and applause as we work and live in the kingdom of God. filled earth with his gifts. Recently my day started out similarly one Saturday morning. I threw some laundry into the washer. At some point I heard a terrible, knocking racket coming from a vibrating washer as it began the final spin cycle. Initially I assumed that the laundry was unevenly distributed. I opened the lid and readjusted the laundry. I closed the lid; I reset the dial. The same thing happened. I shut off my washer again. Hesitantly I tried again, wondering if there would be some amazing miracle after this prayer. No immediate prayer miracle fixed the washer. I decided to try my mechanical abilities. I jerked open the lid, and poked around inside. The thought came to me to pull up the agitator which was firmly fastened to its moorings. I soon realized that should I be able to loosen it, the bottom part would be too large to pull through the lid’s opening anyway. I kept poking around and discovered that the inside tub rocked from side to side with some pressure. Was this normal? I didn’t know. Then not knowing what else to do, I figured I had two options. One, I could take my laundry to the neighbors and spin dry it, or I could just let the washer finish the spin cycle despite the racket. I decided on the latter. What does it matter if it makes a racket if it gets my laundry done? (Doesn’t that just sound like a woman’s logic?) In a few minutes the knocking noise went from bad to worse. It was as though a giant picked up the washer and was shaking the washer with ferocious strength. Something told me that this decision probably was not a very good idea. I turned off the washer, and looked at my sopping laundry in dismay. I didn’t think I had time to run to do laundry elsewhere, so I decided to squeeze out the towels and sheets by hand over the sink. The dryer would have to work extra hard this morning. That was not the only thing that happened that morning. I have a walk-in closet. Last fall my nephew graciously replaced a light that had gone bad. It was still dark when I walked into the closet after the washer ordeal. I groped for the light string and could not feel it. I opened the blinds to give some early morning light, and sure enough there was no string dangling from the light. Whatever happened to it? Surely two things couldn’t go wrong within the hour. But there it was, like a little twisted spaghetti strip lying on the floor near my shoes. As the morning grew lighter, I opened my living room curtains and looked out into the dismal, dreary morning. It was a grim reminder of what I had seen the day before. My rose-of-Sharon tree in burst of full bloom had been ruined by the rain and wind the day before. The branches which had uniformly reached skyward were all askew. Some were drooping, others twisted into each other, still others stuck straight out. Such a sorry sight of a tree! As I turned away from the window, I felt discouraged. A broken washer, a broken string, and a broken tree began my day. There were three things that weren’t how I wanted them to be in my world that morning. I felt a bit anxious. How much money would I have to spend for the washer? How would I get my light fixed? What should I do with the tree? I had two options in that moment. I could choose Alexander’s world of seeing difficulties as a terrible, horrible, no good, very bad thing or I could thank God Almighty- El Shaddia, the Powerful One who transforms difficulties for His glory. Nothing escapes His eyes. His watchful eyes see everything that happens in this world. I chose to lift my eyes upward instead of outward. Within a few days, three miracles happened. Yes, we have difficult days and miracle days. I also have a God whose eye is turned toward the helpless no matter where we are and what we are facing- even in Australia. I am a school teacher. When it comes to getting my classroom work done, I am my own boss, for the most part. I decide what happens in my classroom and how it happens and when it happens. I find myself often with a list of never ending job demands. I think of the old adage, “Man works from sun to sun, but a woman’s work is never done.” (This feels true especially as a school teacher and home owner who is single, but then the males in this world may have a different opinion. I have not asked them.) On this particular Saturday, I knew that there were things screaming for my attention in the classroom and in my home. Although the sunny, crisp morning beckoned me to stay home, I made the decision that the classroom would hold the priority of the day. Walking out the door, I ignored the telltale signs of strewn laundry waving silent hands, the dirty dishes’ silent screams in the sink, and the accusatory eyes of the miscellaneous collection on the table. I pulled the door firmly shut behind me quieting the shouting insults of my unattended chores. It had been one of those weeks where my abode had become a convenience store of buying rest and food as needed. This should have been a day to pull together the loose ends in my house. I sighed inwardly. I promised myself that I would be home by early afternoon as I trudged off to work. I envisioned perhaps sitting a spell and reading before I left for the evening. Entering my classroom, I mentally began prioritizing the things that needed my attention. I pulled out my planner, and began projecting lesson plans for the next few weeks. I was soon lost in the textbooks, lesson strategies, teaching methodologies, and assignments. A couple hours sped by, and before I knew it, early afternoon made its appearance. Thinking I was ready to leave, I looked around the classroom in dismay. I had left the classroom the day before in quite a hurry since we had our school’s annual pork roast fund raiser that evening. I quickly moved around the classroom wrapping up the week’s work and prepared for Monday morning. I finally locked the classroom door at 4:00 P.M. I felt disappointment that most of the afternoon had been spent in the classroom, yet I was still grateful to have a couple hours to attend to house chores. Some days things will not always go as we anticipate. There always will be work to do. We can never work so far ahead that all work and responsibilities will be forever behind us. Every minute we live has the possibility for one more responsibility and one more chore. Our attitude makes all the difference in our level of peace in those moments. In the midst of living with jobs and responsibility, we need to take time to embrace life as it comes. Jesus did that. When people needed a message, He preached. When the sick needed restoration, He healed. When people needed food, He fed the hungry. When people needed comfort, He spoke encouragement. When people were exhausted from the duties of life, He had words for them. These words are intended for you and me, too. . .
Moses’ hands were very human hands. He knew weariness and experienced heaviness. His empowerment arose in the face of brothers who assisted him in a crucial hour. I wonder what the conversation was among Moses and Aaron and Hur as they watched the battle from a distance. Did Moses implore them for assistance? Was it at the suggestion of the other two that Moses sat down, and they stood at his side? Maybe those details aren’t really important. Undoubtedly, a great victory was won because others came alongside to assist the drooping hands. That got me to thinking about the vulnerability of single women. Single women are one and only. Sometimes our hands get heavy and droop. We can’t do life alone; we need assistance. I certainly was in that position early this summer. My car was severely rear-ended seven hours away from home. 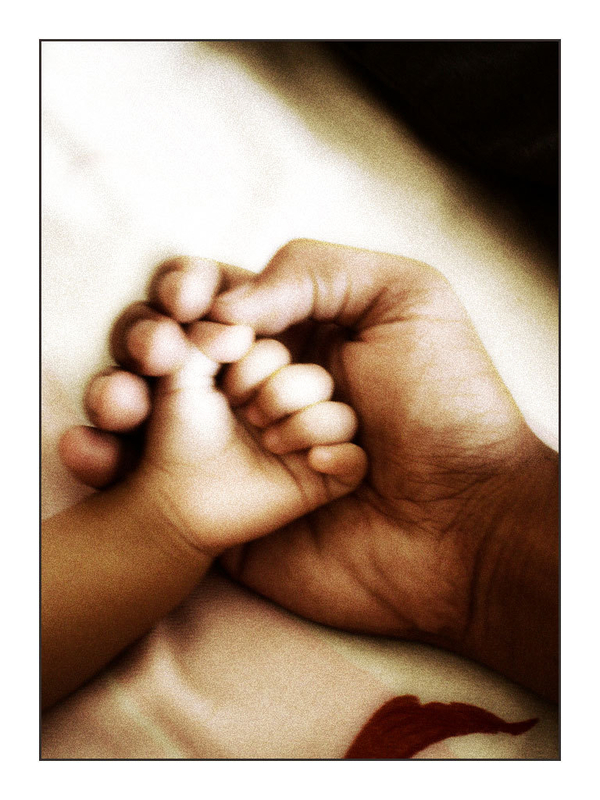 In that crisis, God provided not two men, but six men to lift my drooping hands! A firefighter came rushing up to the scene of the accident to see if my passenger and I were okay. A male passer-by stopped and checked whether we needed help. I had a most kind, professional policeman assisting me in the details of the accident. The tow truck driver not only delivered the car to a reputable body shop, but he went beyond the call of duty in assisting with details of an unexpected hotel stay. The next morning the man at the car rental gave me a car upgrade despite my limited rental insurance. Then some weeks later, a man traveling to my area was able to pick up my repaired car and bring it back home. My drooping hands were strengthened by others coming alongside in this experience. We have all experienced drooping hands, and other times we are called to help those with drooping hands. Sometimes we assist by doing practical things as these six men did for me in the moment of crisis. It could mean sending clothes to the grandmother with a limited income who has suddenly become responsible for her teenaged granddaughter. Perhaps a weary mother needs a few dozen freshly baked cookies delivered at her door. Sometimes lifting drooping hands may not be so noticeable. Maybe it is interceding for friend who has been in and out of the psychiatric ward the last few weeks, or sending words of encouragement to a family in a crisis. My pastor’s hands got very weary this morning holding up his rod. He finally asked for assistance. One strong young man came alongside while the pastor rested his weary arm on this young man’s shoulder and finished his sermon holding the rod. I don’t believe any of us single women were meant to do life alone. Sometimes we may need to ask for assistance as my pastor did this morning. Sometimes we will be the one to step forward as this young man did for my pastor. The stories of victory won’t cease if we stand alongside and lift drooping hands. Your God will come. . . Drinks always taste stronger and sweeter when speaking face to face with a friend. A few weeks ago I met a friend at Main Street Coffee Shop. The coffee house’s cozy atmosphere invites one to start the day with a brisk cup of coffee, or pause for a refreshing afternoon smoothie, or whisper heart secrets in the later evening hours while sipping a favorite drink. This is where I met Charli one evening this summer. Okay. Don’t gulp too quickly. Charli, a dear friend from long ago, is now a busy mother of five children. On this particular evening, her husband kindly put their children to bed while she and I had a few delicious hours at Main Street Coffee House. Charlotta (Charli) speaks honestly her heart and mind. She sees into issues with clarity and precision. She voices her concerns, she feels with compassion, she speaks with authority. We talked, we laughed, we pondered and then at one point she asked me about my book. My book? I shifted uneasily. Yes, the book, To Have and to Hold published a year ago. I had to admit that I more or less cast it aside as a job completed. In addition, the blog which I ambitiously began last summer had waned into nothingness. “Oh, Sharon,” Charlotta now spoke emphatically. You can’t birth a book and cast it aside. We don’t birth children and leave them on their own. You have a responsibility to grow your book, Sharon,” she implored. Grow my book? Really? I would rather not be encumbered by a book. But I have birthed one. It is attached to who I am. How do I grow a book? I have not walked this way before. I think of another friend of mine who is now the mother of teenagers. Last spring she shared with me the difficulties of parenting teenagers. She echoed similar words, “We haven’t gone this way before. We don’t know how to do this.” However, she can never “unmother” herself. She will always be a mother. Charli continued, “When I read a book, I want to know the author. I want to know what is happening and how the author is growing and processing life. People want to know about you. 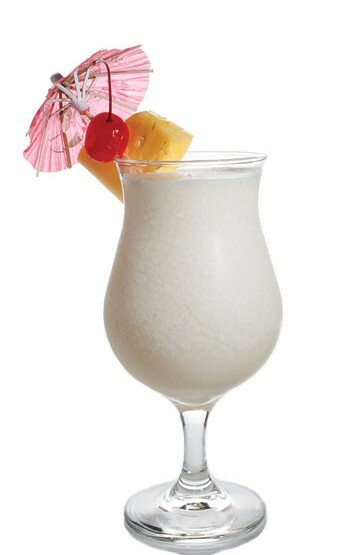 You have a responsibility as an author.” I pondered her encouragement as I took the last sip of my pina colada. When I hugged my friend good bye, I took her words with me. My eight months of silence on the blog is not an indication of a lack of God stories and God moments. Much has happened. I have worked. I have laughed. I have prayed. I have cried. I have wavered. I have loved. Maybe all this feels too risky to share. Maybe my sin is taking the easy route. Maybe less is required when I keep things to myself. Giving is dying to self. I heard the clarion call while drinking my pina colada. A new day is dawning. In its invitation of light comes hope. In the hope comes the warmth of His wings of love. These wings carry me into this day and the unknown future even with the book, To Have and To Hold. Weddings are beautiful pauses in life. Matrimonial ceremonies and celebrations drop reminders of an unveiled future where all is well. On these occasions, we lean toward soft whispers, smile at starry eyes, and join in generous laughter. I have been a guest at three such weddings the past few months. The sun smiled with favor upon each of the three weddings. Each bride had spent time planning the details of the ceremony, décor, and food. Some things were anticipated; other things were not. Despite all the planning, the three brides unconsciously produced a theme that lingered in the mind of one of their guests. One was a June Bride. On the evening of her wedding rehearsal, a Midwestern rain and windstorm moved into the area toppling trees and power lines; thus, ending the rehearsal in the semi-darkness of a very warm church. The late evening activities fared no better for the out-of-town guests who were lodging in homes and motels. The stifling, dark night made it difficult to shower and sleep. The next morning didn’t offer any additional relief as the wedding party and family tried to dress with limited accommodations. Somehow they managed to get the wedding underway despite the lack of air conditioners and food concerns. These concerns were momentarily forgotten as the ceremony took on a surreal atmosphere. During the wedding ceremony, the stained-glass windows strangely transformed the bridal party’s clothing to shining, colors that only black lights can produce. Though a storm had brought much havoc, it did not diminish the beauty of the wedding. Only the beauty of love can rise bravely above the wings of a storm. I smile when I think of my friend, Sherilyn. Her wedding day finally arrived on a warm August day. She had waited many years for this moment. Although she had kissed her twenties’ decade good-by, she now was dressed in her bridal attire at the age of thirty- two. Joy of this day produced songs within and became a significant part of her wedding day. Guests and the wedding party alike joined in unison in a time of praise and worship to the Him who made this day possible. The joy and worship on this wedding day accentuated the lovely details of color and décor in the ceremony and reception. It struck me that age did not diminish the possibility for marriage; rather, age brought worship into perspective. They called their guests to worship the Father God who merged their hearts as one in His time. A few weeks ago I was yet at another wedding. This young woman had once upon a time been an elementary student of mine, but on this day she was now a young lady walking down the aisle on her father’s arm as a bride. Was there ever a happier bride? Her countenance was aglow with a glory that can only be bestowed upon one that is loved lavishly. She was a woman at peace and a woman of grace. Nothing had defiled the halo of radiance on her wedding day. The beauty of radiance cannot be produced by facial lifts and make-up. Radiance comes from within. The warmth of its glow is flamed from a heart that lives in purity and submission to the One who forever holds her heart. Three brides. Three stories. Three themes. First, we all need beauty reminders in a world that is hurt and broken. Storms come, but the sun shines through stained-glass windows and show us who we truly are meant to be and not as we are. Secondly, we face uncertainties in life that call us to live by faith what is not yet a reality. We bring our worship because we know that the God who created our hearts also calls them into oneness of His grace and goodness. Finally, radiance is not self-induced. Our trust in God and our submission to those over us, will unveil the radiance of His glory. These weddings reminded me that someday it will be all beauty, all worship, and all glory. No wonder weddings inspire hope!